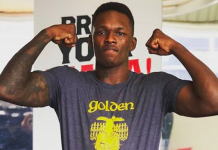 “You know this kid Israel [Adesanya]? 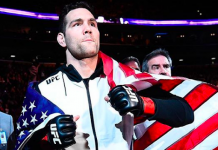 He’s actually the main event on The Ultimate Fighter  finale.” Dana White told TMZ, “And Brad Tavares, I don’t think anybody knows this yet, but Brad Tavares just this morning broke his foot. He’s out of that fight right now with Israel. So we’re looking to put somebody new in with this kid. I’m excited about him. 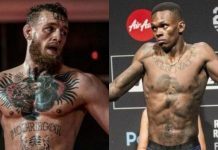 Injuries continue to alter main and co-main event fights in 2018 and now we have another. 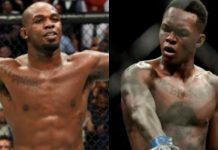 The Ultimate Fighter 27 finale was originally supposed to be Brad Tavares and Israel Adesanya headlining for the first time together opposite each other. As fate would have it, that will no longer be the case. 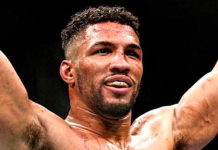 According to Dana White, Thiago Santos appears to be the front-runner to fill in for Tavares. This would be his first UFC main event as well. The now injured Tavares currently rides a four-fight win streak and is looking the best he ever has since coming to the UFC in 2010 after a stint on TUF 11. He is currently ranked at No. 10 in the middleweight division. 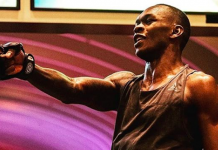 The undefeated 13-0 ‘Stylebender’ Adesanya is one of the hottest new additions to the UFC roster and has already won two fights and earned himself a main event slot. His possible new opponent, Santos just recently had his devastating four knockout win streak snapped by David Branch at UFC Atlantic City and found himself on the receiving end of the knockout that time around.